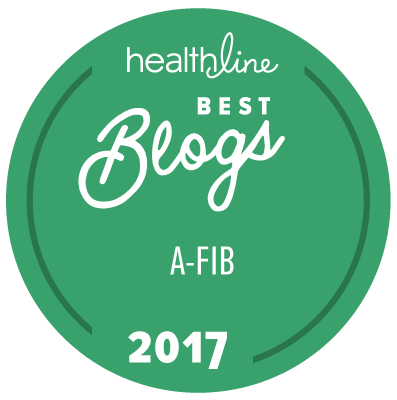 Summary: StopAfib.org CEO Mellanie True Hills is pleased to announce our collaboration in the Year Without a Stroke Campaign, which was launched by the Alliance for Aging Research for Atrial Fibrillation Awareness Month. For Atrial Fibrillation Awareness Month, our friends at the Alliance for Aging Research are kicking off their A Year Without a Stroke campaign. This campaign shares the real stories of people who have experienced and seen first-hand how serious AFib-related strokes can be. They all share the mission of educating patients and their loved ones about stroke risk and prevention, so that they can Celebrate a Year Without a Stroke. StopAfib.org is pleased to be an integral part of the campaign in that the video series features StopAfib.org CEO Mellanie True Hills talking about what a year without a stroke means to her. It also features friends of StopAfib.org, Sharon and Randall Munson. Sharon experienced an afib-related stroke 2 years ago and she and Randall talk about the impact of it on their family. Additionally, F. Roosevelt Gilliam III, MD, an electrophysiologist, shares his perspective. Watch the three videos, and learn more about afib, at www.YearWithoutaStroke.org. In recognition of Atrial Fibrillation (AFib) Awareness Month, the nonprofit Alliance for Aging Research (Alliance) has launched an educational campaign highlighting the dangers of AFib-related strokes. The initiative, titled Celebrating a Year Without a Stroke, underscores the seriousness of AFib-related strokes and encourages patients to understand their risk, ask questions, and continue taking medication as prescribed. Celebrating a Year Without a Stroke celebrates the stroke that doesn’t happen. “A year without a stroke is a year you can enjoy doing all the things that you worked all of your life to finally get to do,” shares cardiologist Dr. F. Roosevelt Gilliam III. “It’s a year with more time for grandchildren, for long-awaited vacations, and for time spent at home disability free."